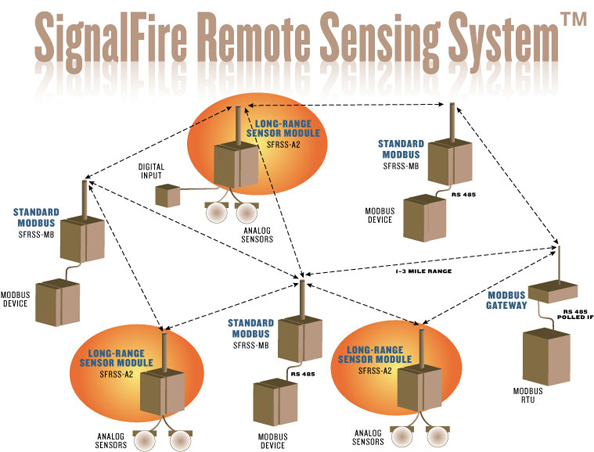 The SignalFire Remote Sensing System™ is a flexible adaptive radio networking system that seamlessly integrates analog and digital sensors. With a range of up to 3 miles, the system is self installing and self configuring. All the installer has to do is set the check-in frequency using a simple rotary switch, record the radio address, and connect the sensor. 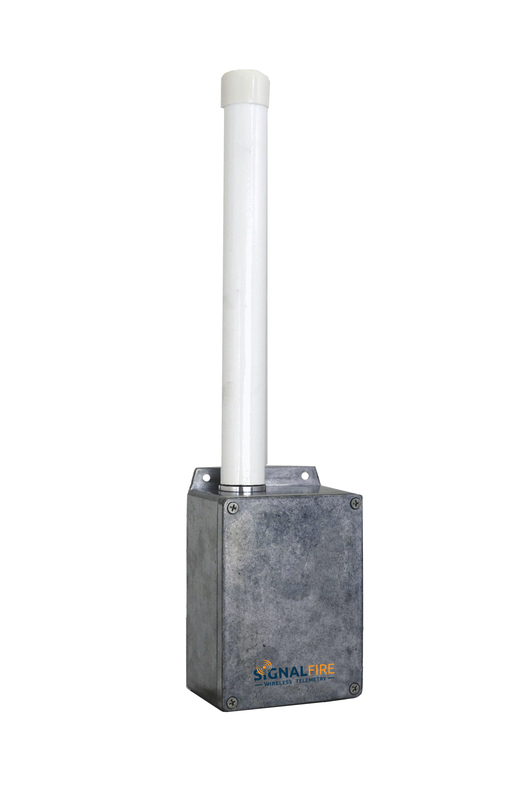 This system compares very favorably, from a cost perspective, with installed conduit at distances of 100 feet or more. Power: 3 X D Lithium battery pack. Field replaceable. Sensor Power: 12.5 or 18V Jumper selectable for 4-20mA current loop, 1-5V, or HART sensors. Analog and HART sensor power is provided from the system, no need for external sensor power. Battery Life: 1–10 years depending on the type of sensor and reporting frequency. Data Interface: Wireless – available as Modbus registers at Gateway. Data Update Rates: User Selectable Rotary Switch from 5 sec to 2 hours. Frequency: 902-928 MHz License Free ISM Band Compliant with FCC Part 15. Networks: Up to 65,520 separate networks. Internal Diagnostics: Battery voltage, signal strength, error conditions.